Join the members of 'dog' in adventures in space and planetside. Come start a faction and build bases. 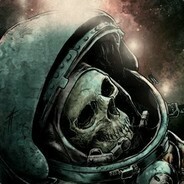 Come trade and interact with other Space Engineers. Joint efforts of SuSuScumPit and YoYo-Pete Gaming. Come and build and explore and fight. Create a faction and have fun! Please adhere to the Rules, else you will be removed. 1) PvP Permitted - Feel free to build weapons and engage other players. Do not offline raid / destroy bases. 3) No Hacking or Tool Assisted Gaming - Only use what the devs gave you.